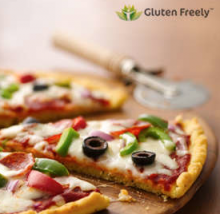 GlutenFreely.com: $25 for $50 to Spend on Gluten-Free Products! This is a really awesome deal for those of you who use gluten-free products. Living Social is offering a $50 voucher for only $25 to GluetenFreely.com. GlutenFreely.com has a really great selection of products for you to choose from. They have everything from breads, pastas, to all your condiment needs. I had no idea so many products came gluten free. PLUS, spend $50 and you get FREE shipping! Head over to Living Social to grab this deal while it’s still going on! Daily deals Nov 9, 2011 in food, glueten-free, groceries, LivingSocial · Expired!